Class Jungermanniopsida includes leafy and simple thalloid liverworts. There is a lack of shared characteristics between these two groups. The leaves of leafy liverworts may be entire or lobed with various forms of insertion. 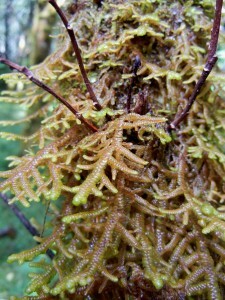 The thalloid liverworts may be branched. Oil bodies may or may not be present. When present, oil bodies are typically found in both gametophytic and sporophytic regions of the liverwort. There are multiple oil bodies per cell.